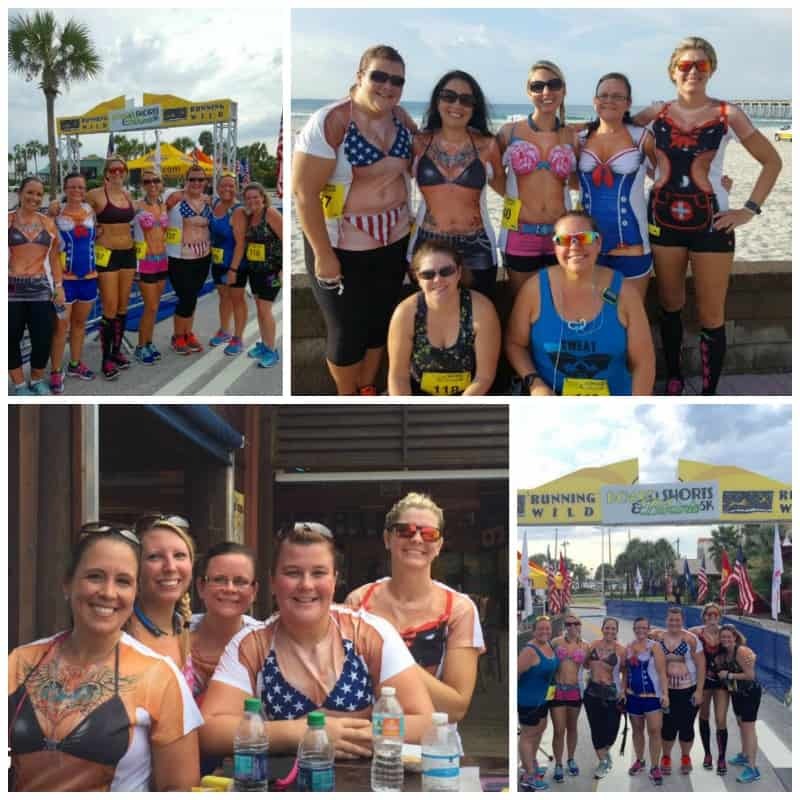 A few week ago my SweatSisterz Runner Crew and I got together to do the Boardshorts & Bikinis 5k on Pensacola Beach. 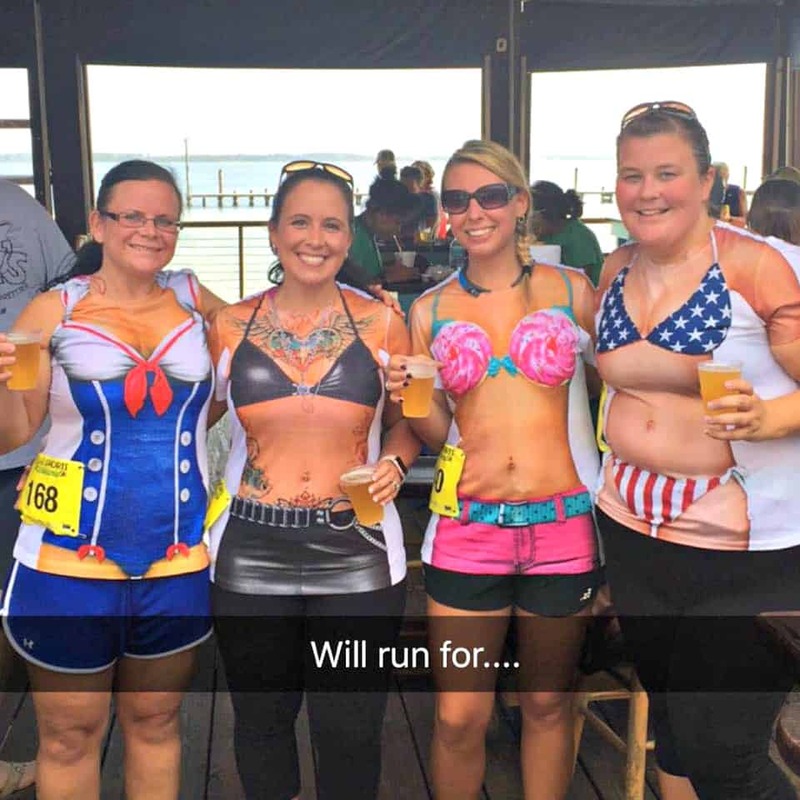 The instructions were to WEAR either Boardshorts or Bikinis to run… yeah.right. While that may sound like a good idea in theory, the actual reality of that would be awful. In a word: chafing. Not to mention jiggling. However, the Sisterz and I are not ones to back down from a challenge, so a few clicks around on Amazon and we had a solution. The Faux Real Bikini Shirts from Amazon were a huge hit! I was shocked that we were the only ones who had them! The run was fantastic – although incredibly hot. Those shirts did not breathe at all. However I still managed to PR the run – hitting my best time since I tore my fascia last summer. It still isn’t a very impressive time – and still far from my goal – but it felt great to cross the finish line faster than I have in over a year, so I am calling it a win. We then headed over to Bamboo Willies to drink beer rehydrate before spending the rest of the day laying on the beach listening to tunes from the Jamaican Festival. Talk about the perfect way to spend a Saturday. I am already stoked about next year’s Boardshorts & Bikinis 5k. Who knows – maybe a year from now I will actually run in a bikini. Oh who am I kidding? I WILL make it a point to beat my time though – that is for sure. For details on next year’s Bikinis & Boardshorts 5k be sure to visit their website and also Like Their Page on Facebook. Everyone looks like they are enjoying themselves. Thanks for sharing!